The exterior has so far has changed so much with its windows all tinted. It’s very easy to notice its darkened rear lights and its 17-inch wheels. Being in a tight space, its fold able wing mirrors will find more space for parking and that’s not manually but done electronically. It has a rear parking sensor that will drive away fears when approaching a lamp post. The luminous Xenon lights automatically light up in the front rear creating luminous image for the Caravelle. A camera function as a rear mirror is just one of Transporter 5 high tech features. It has the amazing LED daytime running lights and sliding side doors that function electronically. Volkswagen transporter series have come in different variants based on Volkswagen Group’s T platform and transporter 5 is the fifth generation of the series of van that have been world’ favorite van. The van has been since it debuted 60 years ago, named T1, T2, T3, and T4. 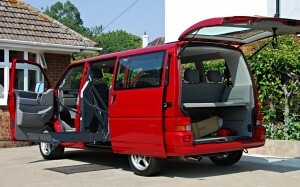 The later was superseded by T5, the fifth generation of the Transporter series that has become a new trademark of Volkswagen transporter family. Volkswagen Commercial transporters on the other hand still continue to deliver the load that has been its trademark for many decades. Each transporter series are ideally equipped to meet the needs of the industry that has been faithful and kind in patronizing Volkswagen transporter family. If there’s one big transformation event, Volkswagen Caraville Business or Transporter 5 is a big winner. 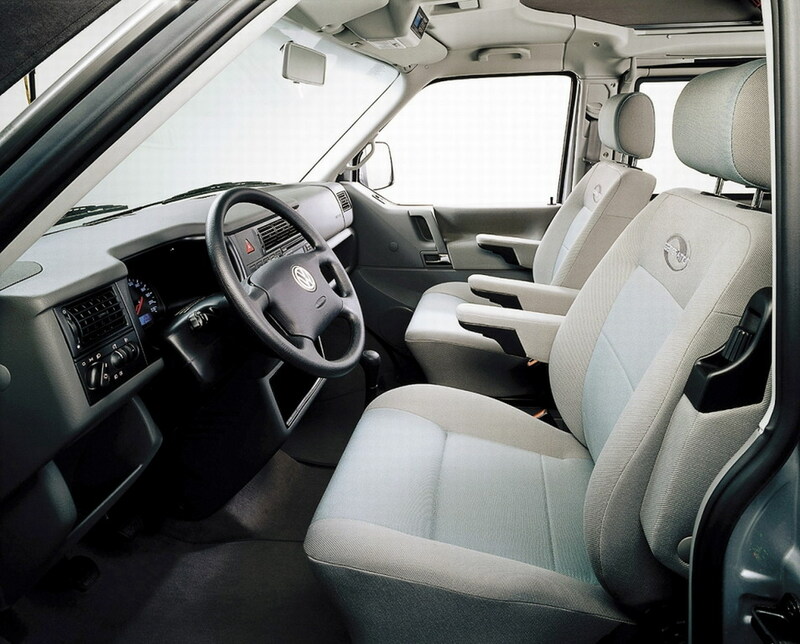 What used to be the favorite ride of the 50’s hippies and the happy-go lucky people of the 70’s, this Volkswagen transporter T2 has transformed into a high-tech hub for the executives who loves the luxury of the modern car technology. 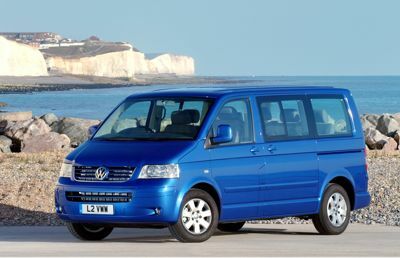 What used to be a big symbol of life, peace and love, Volkswagen Caravelle business is now a symbol of luxury and high-end living that is associated with executives circles. It is a conference room on the wheels complete with 5+1 Nappa leather seats and a table and Wi-Fi internet connectivity and Bluetooth. The Caravelle transporter 5 has a standard mid-row swivels that accommodates power point focused meeting plus inserts of burr woods in every corner or nook. To ensure passenger’s safety, there’s plenty of curtain airbags. You can’t call it a homey without a homey food so in between its rear end seats, the fridge is there to keep all food and drinks stuff. After eight years working as the president of Audi US, Johan de Nysschen leaves his position for a new job that is yet to be known. Until the replacement comes, COO Mark Del Rosso will handle the company’s everyday operation. Upon breaking the news to the public, the resignation immediately takes effect. Many who have heard the news are surprised because Audi has just announced a 10% increase in its sales last month. On a more specific note, the car company sold more than 11,000 units. According to the records, it is the best May for Audi US. It is also their fifth best month in the market, ever. The 52 year-old Nysschen started working as the boss for Audi US in 2004. Also, he held top positions for the company when it was brought to Japan and South Africa, his native land. During his time, the company was able to see a significant growth in its sales and image awareness. We can remember that Audi became a key player in commercials for Super Bowl. 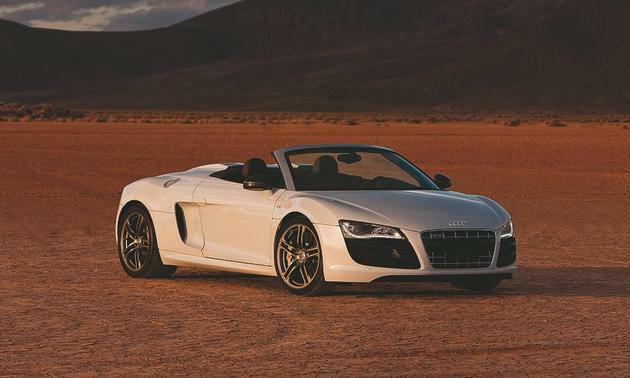 In 2011 alone, Audi’s piece of cake from the luxury market grew from 5.3% to 9.5%. In his email to the workers for Audi, he explained that the twists and turns that fill up life can bring a person in to an unexpected conjuncture. In this instance, what he believes to happen in real life is happening to him. He also said that Audi has been his car since 1973, and would have never imagined not having Audi in the center of his life. Nysschen made it clear that his resignation has nothing to do with the reorganization of senior positions in the company. His reason for leaving is related to a realization about the future leadership that Audi needs. He believes that a new leadership will help the company become the most inspirational car brand in the US. According to him, Audi is in a new inflection point in the continuous progress of the brand in the United States and this new tone demands a leadership that has new philosophies and insights that are more appropriate for this new phase. Although he wanted Audi to win, he needed to secure his life too. He said that he must play according to his strengths and look for a new “construction site.” Such opportunity has been presented to him this time, and he is ready to face new challenges. 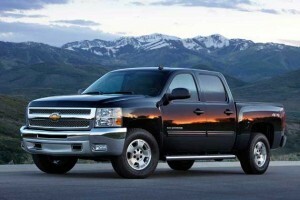 It can be recalled that SAE came up with the standards to help consumers in comparing towing ratings of trucks. Consumers often make comparisons before making a purchase but without a standard rate to base on, they may have a hard time finding the right vehicle for them. To address this situation, SAE, in a meeting with manufacturers and suppliers in the towing industry, set a standard aimed at helping customers compare cars, crossovers, and pickups that have a gross weight of 13,000 pounds. After the J2807 was announced, several truck manufacturers launched recalculations in their fleets to see how they can implement the standard. GM put the towing numbers of its latest Silverado and Sierra under recalculations and found out some adjustments might be needed. Toyota, on the other hand, decided to follow most of the procedures and standards in its 2011 Tundra and Tacoma, as well as its SUV fleet. 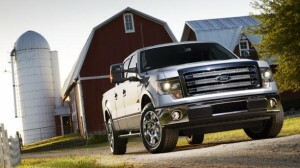 With Ford, the 2013 Fusion and Escape and other new models were recalculated. The J2807’s effect on Ford’s F-Series pickup is something that analysts are interested in, as they await Ford’s move in this matter. Nissan and Honda are among the manufacturers that are yet to release their plans involving their 2013 line-up but experts don’t expect any major changes in their numbers. A towing rating standard made by Society of Automotive Engineers (SAE) for truck manufacturers has hit a snag. General Motors (GM) recently announced that it is postponing its implementation of J2807, which sets the standard and procedures for towing ratings and gross combined weight ratings. 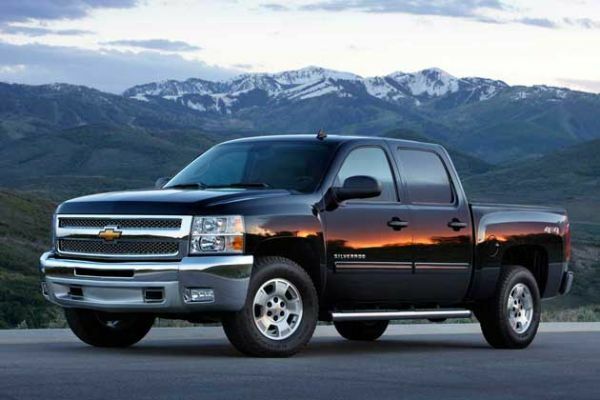 GM said in a statement that it will hold back from implementing J2807 fully until all the other pickup truck manufacturers are following the said standards. The announcement was made after competitor Ford decided not to apply the standards to its entire fleet of pickup trucks before the release of its new models. The release, however, is not expected to happen anytime soon. Ford’s decision is seen as the reason why GM reacted that way. Fast car. In a statement, GM said that J2807 will not be used in its 2013 model in order to avoid confusion in the part of consumers. The manufacturer believes that following the standards may confuse consumers in comparing vehicles that are also used for trailering. GM competitors will remain using their existing ratings in their latest models and the manufacturer is worried that changing theirs at this time may affect consumers’ purchasing decision in a negative way. Hennessey Performance has confirmed the delivery of its earliest Hennessey Venom GT Spyder to America’s Idol host and lead singer of Aerosmith Steven Tyler after making its debut appearance at Cars& Coffee in Irvine, California. Steven Tyler is noted for his great love for fast cars and Hennessey Performance’s making fast car faster has rightly equated Tyler’s passion. Hennessey’s CEO John Hennessey also made statement that his company is glad to custom-built the Hennessey Venon Gt Spyder for Steven Tyler adding that it was indeed an accomplishment to make individuals like Steven Tyler taking great love for the Venon Gt Spyder. Hennessey is currently on work and has started putting final touches on the Venom GT Spyder before handing it over to Steven Tyler. A sample video was released showing the 2013 Venom Gt Spyder getting dyno tested. Innovation is the creation. Circulating news has HPE building only a limited edition of the super fast car. It is presumed that only five of its 2013 Venom Gt will be released to the public where two has been pre-ordered ,leaving only 3 2013 models to be built. It has a timetable for summer deliveries. Venom Gt Spyder is recognized with its new removable top and a whooping tag price of 1.1 million dollars. It is super powered by Chevrolet succession aluminum V8 with 1,135lb-feet torque and twin turbocharged V8 engine producing 1,200 and with the 6-speed Ricardo manual trans axle that is well mated its power built torque. It has the ability to hit 100/km per 2.2 sec on the road with a top speed of 262 mph. Clients will have no problems stepping at the brakes with a 15 inches 6 piston front and 4 piston rear along with Brembo ceramic brakes. Venom Gt Spyder could be the fastest car on the road when Steven Tyler hit it on the road. It is one super addition to his collection of fast motorcycles and cars. Hennessy Performance has been delivering fast cars for decades and still continues to live by to its objective of making fast car faster. It has the commitment to built not only fast cars but also well-performing cars on the road giving them high performance torque and super- built tuning. Hennessy Performance is one of the most trusted tuning companies that have built its name reputation with respect and high degree of performance. It is bent on making its future bright with another feat of making fast cars faster.